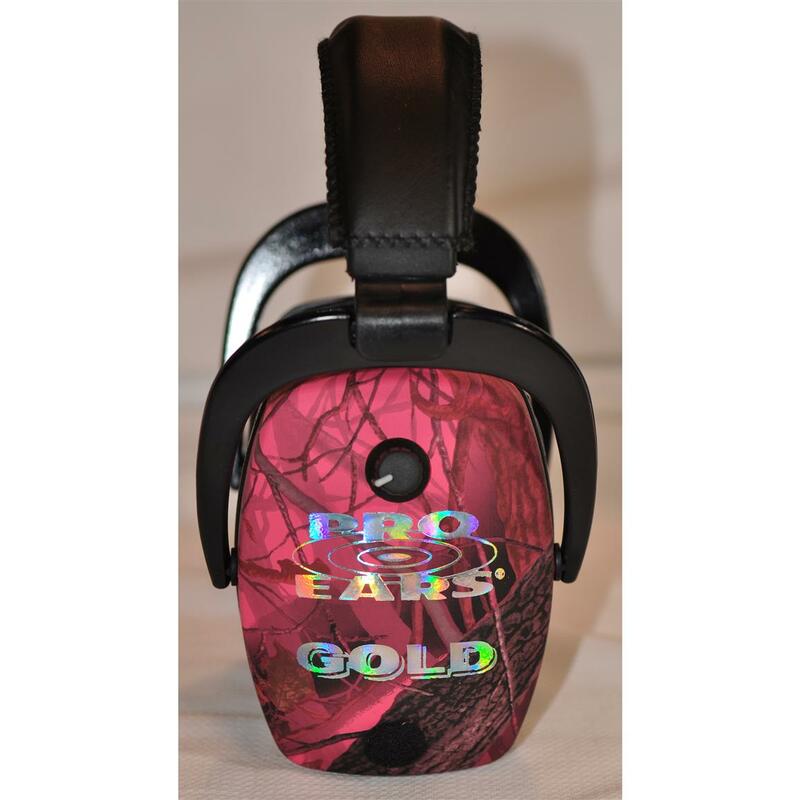 Pro Ears® Pro Slim Gold Hearing Protection and Amplification Ear Muffs. Lightweight. Slim profile. MAXIMUM protection! 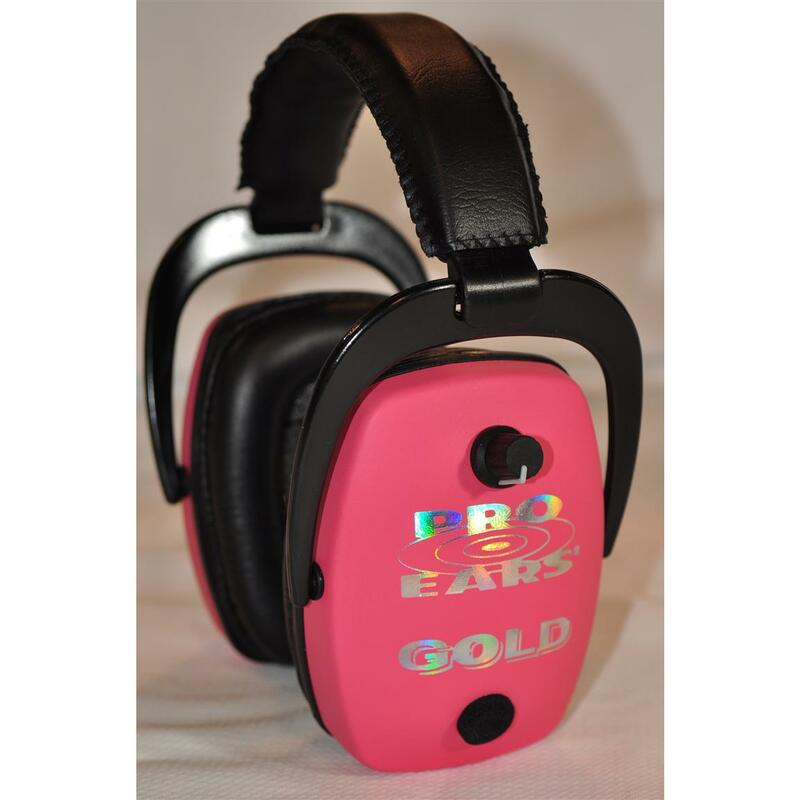 Includes sound jack for music players and motor sports scanners... get high - fidelity sound and hearing protection in one! 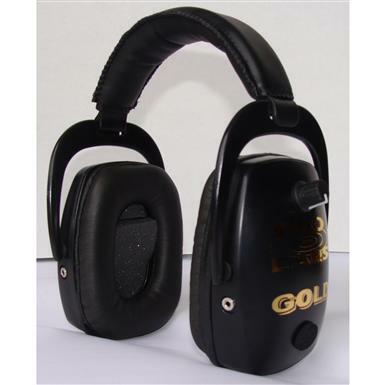 With a NRR (Noise Reduction Rating) of 28 and the fastest "attack time" in the industry at 1.5 milliseconds, Pro Slim Gold Ear Muffs provide maximum protection at outdoor firing ranges or race day. With Pro Ears, the attack and recovery time are accomplished without clipping or turning off the system so you hear all the sounds, only at a safe level with excellent clarity. And with the Pro Slim's medium profile you get protection and comfort that won't interfere with the positioning to fire a long gun. Get yours in black, green, or pink. 11 ozs. Made in the USA! State Color, as available in the Shopping Cart! Order ONLINE Today!